We like to bring to the public the awareness of our countries industrial and agricultural heritage with these magnificent running steam engines. They come in all shapes and sizes from, ploughing and roller machines to transport wagons & traction engines. 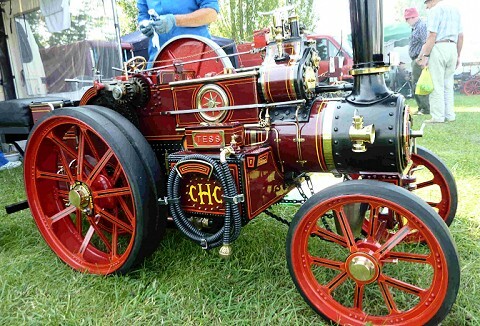 We are dedicated to the preservation of all steam engines, with emphasis on steam road vehicles. The age of steam is a romantic ere & the ingenuity of the steam engines has to be seen to be appreciated. Available for all types of public & filming events. 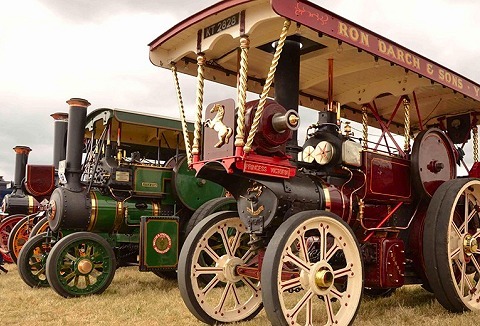 Our society members can provide a range of steam road vehicles from live steam traction engines through to workshop equipment. 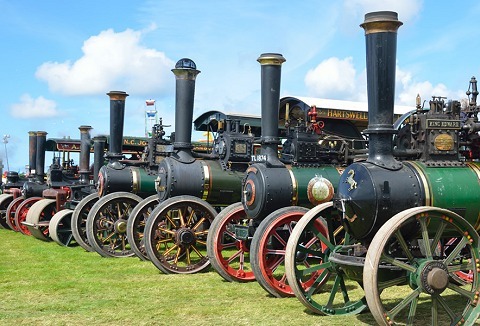 Members can display their steam engines as static or as a main arena display. For details on engines required please contact us.